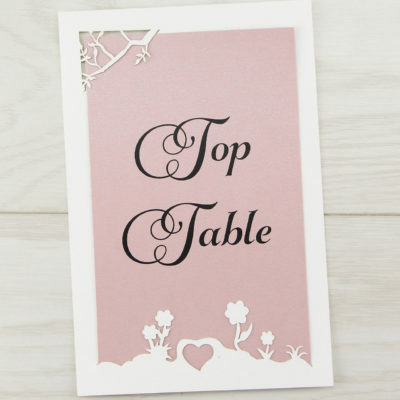 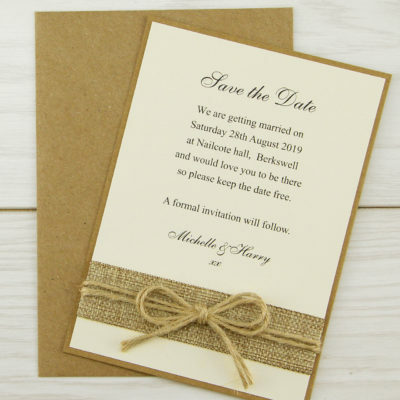 Perfect for a rustic themed wedding. 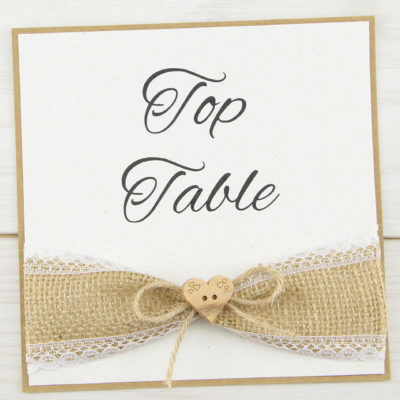 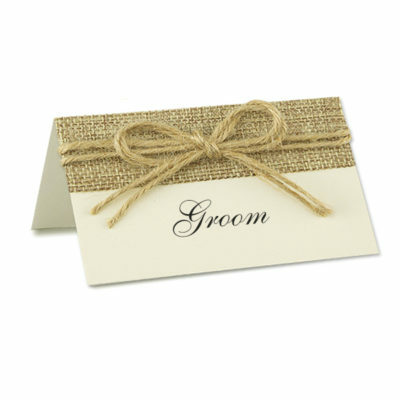 With a kraft base, matt cream insert, burlap and a chunky twine hand tied bow. 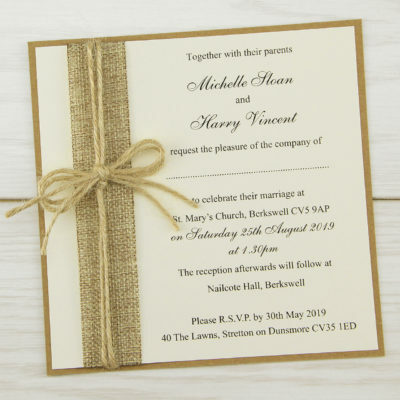 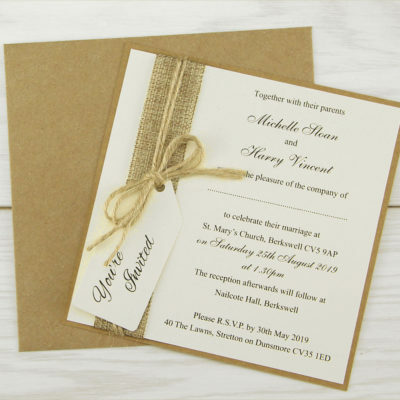 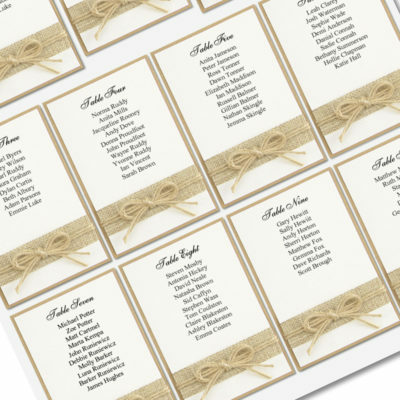 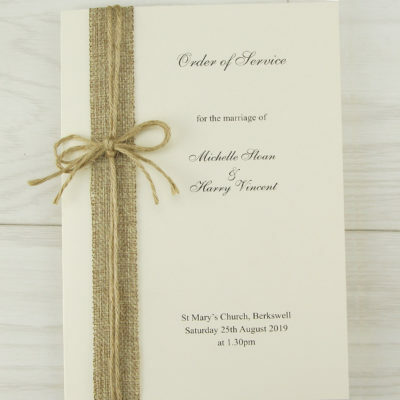 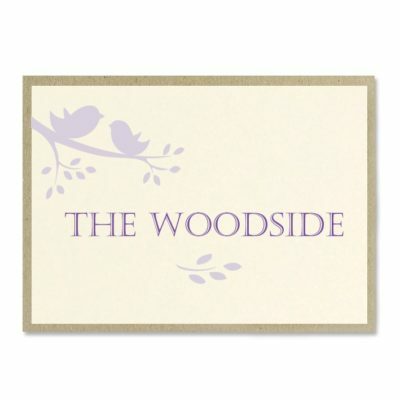 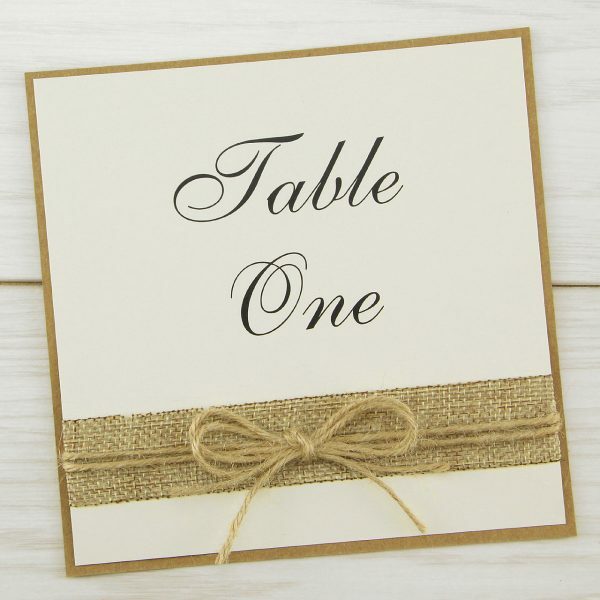 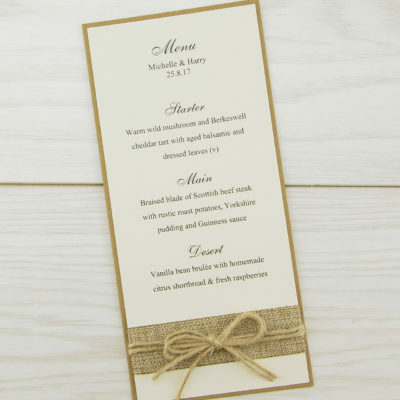 Kraft base card, burlap, twine, printed insert on luxury matt cream card.